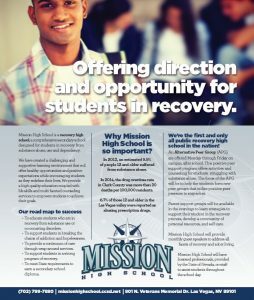 Mission High School is a comprehensive secondary school designed for students in recovery from substance abuse, use and/or dependency. 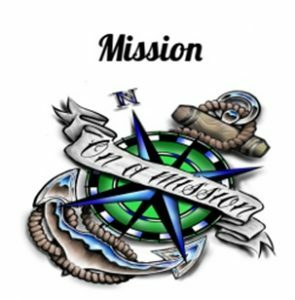 We have created a challenging and supportive learning environment that offers healthy opportunities and positive expectations while encouraging students as they redefine their lives. We provide a high quality education coupled with life skills and multi-faceted counseling services to empower students to achieve their goals. To educate students who are in recovery from substance use of co-occuring disorders. To support students in breaking the chains of addiction and hopelessness. To provide a continuum of care through wrap-around services. 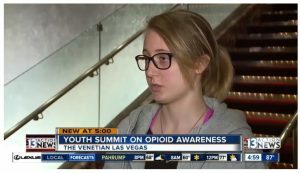 To support students in a strong program of recovery. 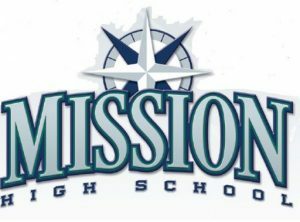 Mission High School is located at 801 North Veterans Memorial Drive, Las Vegas, Nevada 89101. For more information call 702-799-7880. 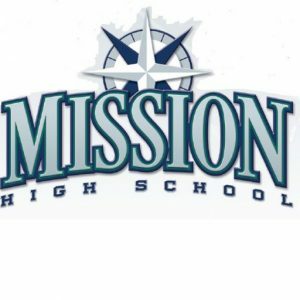 Donate to MHS at our Webstore! 801 N. Veterans Memorial Dr.